National Trust site, Dinefwr Park and Castle, is just a short car journey away. 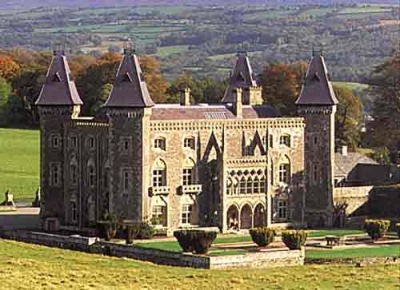 Its 800-acre estate was once home to the powerful Lord Rhys. The main house is decorated in an Edwardian style and the grounds contain the ruins of two Roman forts. Llyn Llech Owain Country Park with its 64 hectares of parkland is only two miles away. The large lake, coniferous woodland and heath provide brilliant views. The well-surfaced paths provide wheelchair access. The visitor centre, cafe, facilities and picnic area are open all year round. For shopping, Plas-y-Bryn is equidistant to the small towns of Cross Hands and Ammanford both have thriving high streets containing local independent and national retailers. Local shops and services can also be found in Capel Hendre. The Smiths Arms Restaurant in Foelgastell is a popular local eatery and pub with contemporary decor and delicious homemade food. The menu caters for all dietary requirements.